Show your family and friends how much you care with a unique gift from Belfast Zoo. If your loved one is potty about penguins, loopy for lemurs or keen on becoming a keeper, we have the just the gift for you. Go behind the scenes, meet the keeper and get the chance to feed your favourite animal during our animal experiences (£70 per person). You can book a discounted offer for two people (£125 for two people). If your animal lover fancies a bit more, you can book an experience package that includes an animal experience and a bronze adoption of your loved ones favourite animal (£120 per person). Or choose an adult gift pack that includes an animal experience, bronze adoption and adult membership (£165 per person). Would you or a loved one fancy mucking in or mucking out a Belfast zoo? Our keeper for a day package allows you to step into the wellie boots of a keeper. This programme gives you the once in a lifetime chance to get up close and personal with some of your favourite animals and get an insight into the day to day life of our zoo keepers. Book an adult keeper experience (£195 per person) or a Junior keeper experience (£125). Our Junior Keeper gift pack includes a junior keeper experience, a child membership and a cub adoption (£165 per person). Email bookings@belfastzoo.co.uk or call 028 9077 6277 extension 203 for more information or to book. Adopt an animal or surprise your loved ones and make their year by adopting their favourite animal! You can adopt any animal in the zoo and there is a package to suit every budget. You have the option to upgrade an adoption to an experience pack (animal experience and bronze adoption for £120 per person), adult gift pack (animal experience, bronze adoption and adult membership for £165 per person), or junior gift pack (junior keeper experience, cub adoption and child membership). Email adoptions@belfastzoo.co.uk or call 028 9077 6277 extension 229 if you would like more information. Grab an annual membership so you can enjoy many more memorable experiences at Belfast Zoo. Annual members receive free entry to the zoo for a whole year and other great benefits. You have the option to upgrade selected memberships to an adult gift pack (animal experience, bronze adoption and adult membership for £165 per person), or junior gift pack (junior keeper experience, cub adoption and child membership). For more information email membership@belfastzoo.co.uk or call us on 028 9077 6277 extension 203. To book your selected gift pack, download a booking form, complete the details and email to bookings@belfastzoo.co.uk. A member of the zoo team will then get in touch with you to take your payment and confirm your booking. If you are unable to complete the booking form or require further information please call us on 028 9077 6277. Please ensure you read the relevant terms and conditions prior to booking. P-P-Pick up the perfect present in our Zoovenir Shop. We stock a range of soft toys, wildlife-themed gifts, souvenirs, homeware and gifts. Call by to pick up a ZOOPER gift for the animal lover in your life. Alternatively postage can be arranged. 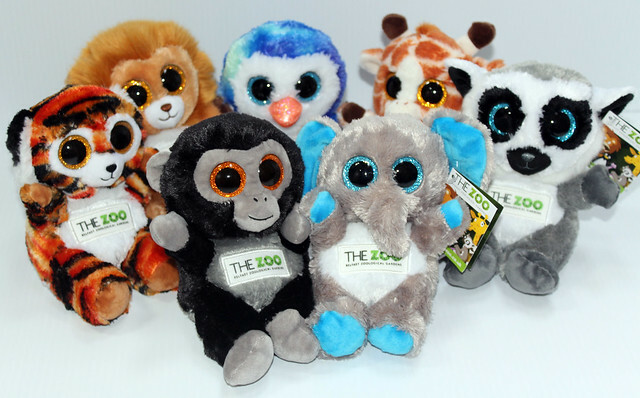 For more information about shop products, email zoovenirs@belfastzoo.co.uk or call 028 9077 6277 extension 203. Seal your wedding day with our stunning Cave Hill location and panoramic views providing a backdrop like no 'otter' for your wedding photographs. Give us a ring on 028 9077 6277 or pop the question to us in an email media@belfastzoo.co.uk for more information.